Marie-Madeleine Bridou, the daughter of the executive of a steamship company, was born in Marseilles in 1909. She married in 1929 but despite giving birth to two children the relationship did not last. Marie-Madeleine went to work for a publishing company in Paris. When Henri-Philippe Petain signed the armistice with Germany in June, 1940, she joined the French Resistance and worked under Georges Loustaunau-Lacau. After Loustaunau-Lacau was arrested in May 1941, Marie-Madeleine took over the running of the unit. The group concentrated on obtaining intelligence information about the German armed forces and sending it to Britain. The British military authorities were so impressed with the quality of this information they sent her a wireless operator in August, 1941. It turned out this wireless operator was a double agent and Marie-Madeleine and several of her unit were arrested by the Gestapo. Unlike most of her colleagues Marie-Madeleine managed to escape and was forced into hiding. After sending her children to live in Switzerland she now concentrated on helping to develop a network for returning shot down airman to Britain. In July 1943, MI6 decided it was too dangerous for Marie-Madeleine to remain in France and she went to England with her latest batch of airmen. She now ran her network from a house in Chelsea. Soon after the D-day landings Marie-Madeleine returned to France. However, she was soon captured by the Gestapo but once again managed to escape and get back to Allied lines. During the Second World War 438 members of Marie-Madeleine's network were executed. Marie-Madeleine Fourcade wrote about her wartime experiences, Noah's Ark, in 1973. Marie-Madeleine Fourcade died on 20th July, 1989. (1) When the Gestapo discovered about the activities of Marie-Madeleine Fourcade she was forced to send her children to Switzerland on their own. The escape route was blocked and the frontier bristled with incessant German patrols. Driven from pillar to post the children finally made their way across the frontier alone. At the last staging post the peasants to whom they had been entrusted had simply pointed out the direction in which the barbed wire ran, miles from their farm. My son, a future officer, came through the test with flying colours and saved his sister. He was twelve and she was ten. 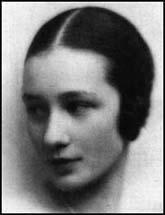 (2) Claude Dansey was the MI6 officer who brought Marie-Madeleine Fourcade to England in July, 1943. You've gone on long past the safety limits. According to the law of averages, an underground leader can't last more than six months. You've lasted over two and a half years. It's sheer witchcraft. Marie-Madeleine Fourcade, a French Resistance hero who was once smuggled out of the country in a mailbag to escape the Nazis, died today in a Paris military hospital, friends reported. She was 79 years old. When France fell to the Germans in 1940, Mrs. Fourcade and a few friends organized a Resistance group called Alliance, which eventually numbered about 3,000. Of that number, one-third were jailed or killed by the Germans. The Germans caught Mrs. Fourcade four times, but she was released or escaped each time. After the war, she helped found the party led by Charles de Gaulle.